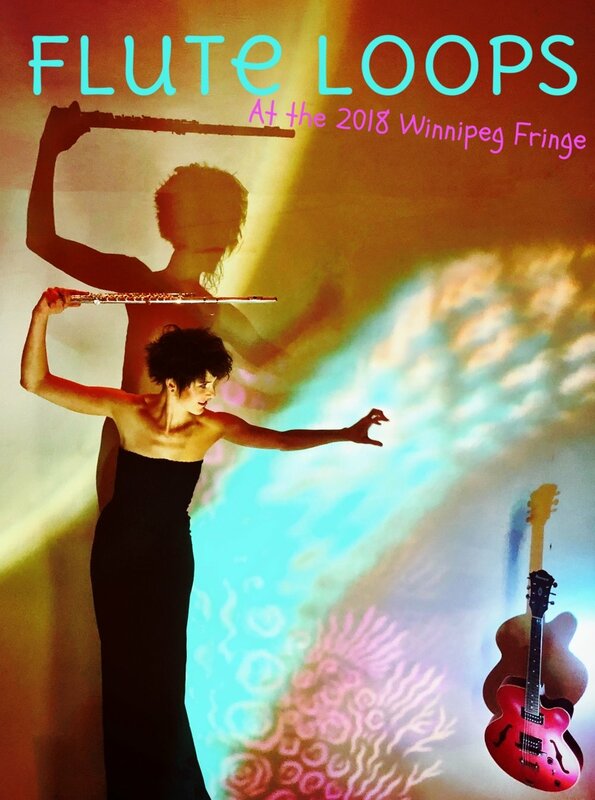 In July 2018, Devon More and The Flute Loops deliver a rock opera about quantum physics to the 31st annual Winnipeg Fringe Festival: expect riveting and comedic original music theatre - with an unexpected intellectual punch. Named Runner Up for the Mainline Creativity Award at the 2018 Montreal Fringe, and awarded Best Performer at the 2018 Hydra Festival in BC, award-winning playwright and veteran of the Toronto, Edmonton, Vancouver, London, Ottawa, Calgary, and Nanaimo Fringes, Devon More is thrilled to be (finally) making her debut in Winnipeg! The original score for Flute Loops was composed during Devon More's month-long residency at the Lookout Arts Quarry in Washington state earlier this year.